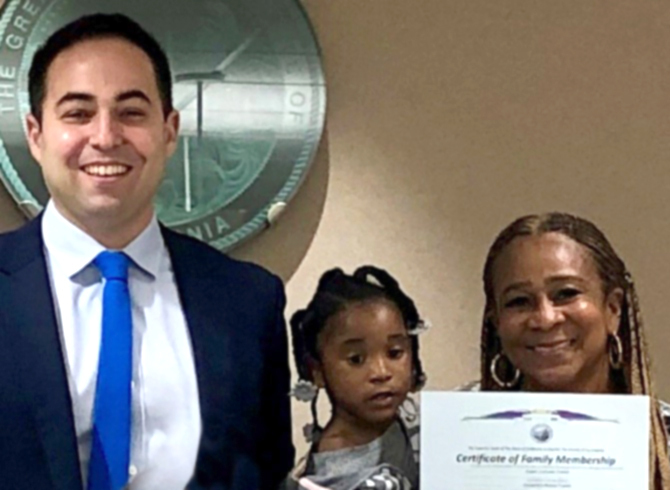 When a baby girl abandoned on a roadway near Los Angeles three years ago was adopted by a relative in recent months, it came with the help of a Katten Muchin Rosenman LLP associate who worked pro bono to guide the family through a delicate legal process. The child, named Aspen, made headlines in November 2015 after police in Compton, California, found her wrapped in a hospital blanket in a hole on an asphalt bike path, days after her birth to a drug-using mother. After entering the county foster care system, Aspen’s future became far more secure when she was taken in by Cassandra Frazier, a distant cousin in her 50s who’d raised her own children. But making that situation permanent required a formal adoption and a journey through a long bureaucratic process. 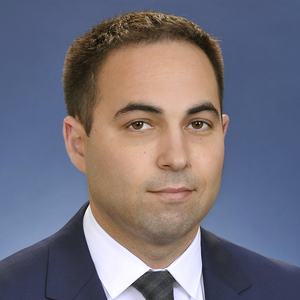 Enter Public Counsel, an L.A.-based, nonprofit law firm that counts adoptions and guardianships among its specialties, and Katten litigator Eric Brin, who employed training provided by Public Counsel and began working with Frazier last summer. “I think from her perspective, the adoption was a daunting legal process, a lot of red tape, and having an advocate was just a big relief,” Brin told Law360. “From my perspective, I felt she really had her heart in the right place, knew some of challenges Aspen would face, and knew that making Aspen part of a stable family was the most important thing she could do to help her,” he said. Aspen’s adoption was just Brin’s second such pro bono matter since joining Katten in 2016. He called the process legally uncomplicated compared to the business disputes he typically handles. But adoptions are paper-intensive, he said, requiring hundreds of pages of releases and forms, as well as the creation of personal histories about adoptees and their future parents. Children court clerks routinely reject applications with even a single significant error or omission, which can set back adoptions by months. In Frazier’s case, an application packet running over 200 pages was accepted and processed without a hitch. Aspen’s adoption was finalized on Nov. 17, 2018 — National Adoption Day — at a ceremony that included about 200 kids and family members at Children’s Court in Monterey Park, California. Katten, which was among the first in BigLaw to name a full-time pro bono director, logged 25,222 volunteer hours in the U.S. in 2017, and an additional 828 hours from the firm’s London office. “At Katten, we strongly encourage our attorneys to take on pro bono work and we give them flexibility to take on those cases they are most passionate about,” said Jonathan Baum, the firm’s director of pro bono services. Aspen’s adoption was the 10th such case last year Katten attorneys volunteered their time to oversee. Aspen’s biological mother, Porche Washington, was located by police within days of Aspen’s discovery and charged. Last fall, she pled no contest to attempted murder and is serving a 14-year state sentence. Brin, a University of Southern California law school grad who himself became a first-time father as Aspen’s adoption neared completion, continues to work with Frazier to review and apply for benefits and services.